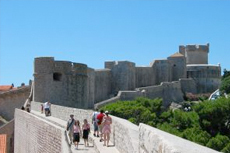 The medieval Republic of Ragusa, now Dubrovnik, once rivaled Venice in maritime might. Its famous walls, medieval monasteries, and large cathedral are among the sights included on a tour of this fairytale city. Tour the village of Cavtat—once home to a prosperous Greek and Roman colony—and experience the town's traditional methods of fishing and handicraft. 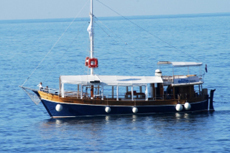 Why settle for bus or boat when you can have both - a land and sea tour of Dubrovnik is a great way to see the city from two perspectives. 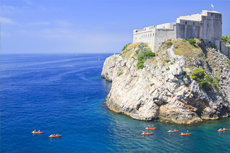 Kayak beneath Dubrovnik's old city walls and explore the caves of Lokrum as you paddle the beautiful blue Adriatic. 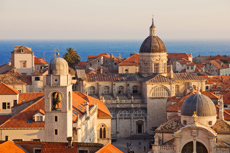 The sparkling sea views, sleepy harbor villages, and Diocletian's Palace create the perfect environment for a steadily paced tour of the Dalmation Coastal Villages in Dubrovnik. Built in 1537 to protect the city and monitor trade, Pile Gate is the grand entrance to Dubrovnik's old town, and a remarkable landmark to see while in port. Explore Dubrovnik's culinary neighborhoods to get a true taste of Croatia -- you will savor every bite! 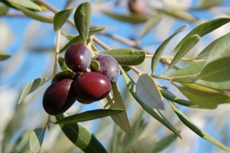 Visit this 300 year old olive mill in Dubrovnik to learn all about olive oil production and even sample the latest batch. 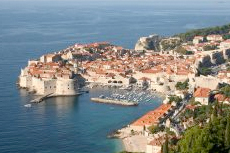 Set out into the clear blue water of Dubrovnik, as you dive below to see what Croatia's marine life is all about! This fascinating Dominican Monastery resembles a fortress on the outside, but contains within its walls both an art museum and a Gothic-Romanesque church. 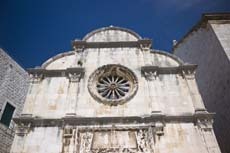 Dubrovnik's Franciscan Monastery features an elegant bell tower from the 16th century, valuable documents including Ptolemy's Atlas, and an adjoining church containing paintings from 1583. 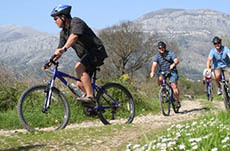 Hop on a bike to start your cycling adventure around Dubrovnik as you discover its beautiful countryside, small villages, orchards, and picturesque vineyards. Medjugorje has become a popular destination for Catholic pilgrims, following numerous reports that apparitions of the Virgin Mary had appeared to the local faithful. 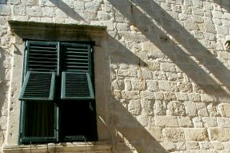 This beautiful estate once belonged to one of Dubrovnik's powerful noble families. Take a tour to savor all of its beauty and learn of the rich history and culture. 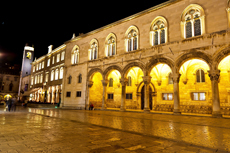 Dubrovnik's Rector's Palace has a long and turbulent past, but is now content to house the history portion of the city museum. Historic Stuff: Begin at the entrance to the walled city -- the Pile Gate. Among the highlights is the circa-14th-century Franciscan Monastery (Placa 2). Make sure you check out the adjoining pharmacy -- opened in 1391, it's the third oldest functioning pharmacy in Europe (and yes, you can still buy aspirin). 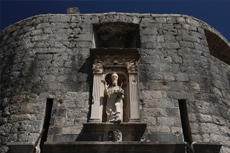 The Dominican Monastery (Sveti Dominika 4) dates back to the same century. The Rector's Palace (Pred Dvorom 3) was the government seat in the 15th century; now you'll find a museum with Baroque paintings and historic artifacts. The Synagogue (Zudioska 5) is Europe's second-oldest Sephardic synagogue. 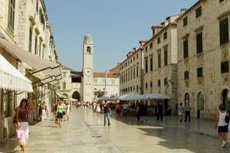 Other highlights include the city's cathedral (Poljana M. Orzica) and the Fort of St. John Maritime Museum and Aquarium (Ul Od Margarite and the waterfront). Cafe Scene: For people-watching, sip a coffee or cocktail at any of the city's numerous sidewalk cafes. For a waterfront view check out Gradska Kavana (Pred Dvorum); it also has plaza-side tables. Bar Nonenina, the former Hemingway Bar, still known as such by most locals (Pred Dvoram 4), has comfy wicker chairs and more than 180 adult beverages from which to choose -- try the mojito or the Croatian beer Karlovacko. 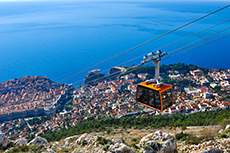 Nature Lovers: For those who enjoy the great outdoors, Dubrovnik offers a variety of places to play, aside from its gorgeous beaches. Adriatic Kayak Tours (Zrinsko Frankopanska 6; 385-20-312-770) is more than your average paddling trip down the river. Adventures include sea kayaking, cycling and snorkeling trips from Brsecine. Not feeling so athletic? Hop a ferry (every 30 minutes throughout the day from Old Port; 40 Kune roundtrip) to Lokrum Island, and enjoy unique, abundant subtropical plants in the nature reserve. Take an excursion boat to Cavtat, a medieval town and resort area on the southern edge of the Rat peninsula where you can swim, shop and sightsee. 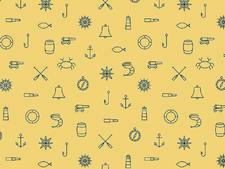 The boats leave from the old harbor pier numerous times (each direction) every day. The Museum of Modern Art. (Put Frana Supila 23; 385-20-426-590) Located near Banja's Beach, this museum welcomes you in from the sun to admire pieces by Vlaho Bukovac and other Croatian artists. Best Beach for Tourists: Banje, a pebble beach, is located a few minutes' walk east of the Ploce Gate to the Old Town. There's also a resort-style beach with nice golden sand and a cocktail bar about a mile from the gates and below the Excelsior Hotel (Frana Supila 12). Best Beach for the Sun Bather: Locals gravitate more towards the smaller, more private beaches like the Lapad peninsula. They sun themselves on flat rocks that hug the wall and access the Adriatic via a flight of steps into the water (best for strong swimmers, by the way). Note the "no nudists" policy crudely scrawled on a wall at the entrance. Secluded Beach: One beach that does not have a "no nudist" policy can be found on the Lokrum Island. Ferries from Old Port leave every thirty minutes and cost 35 Kune roundtrip.